Love, Mrs. Mommy: $50 Gift Certificate to Gina's Soft Cloth Shop Giveaway! 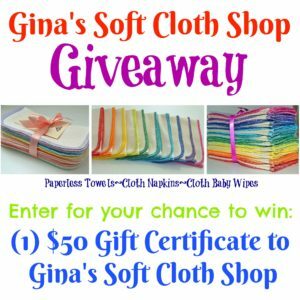 $50 Gift Certificate to Gina's Soft Cloth Shop Giveaway! Finding a cloth alternative to your everyday paper products will not only save you money it will cut your carbon foot print. As far as cleaning up messes, paperless towels are far superior to paper. I am able to clean the biggest of messes with one towel. Paperless Towels wont fall apart like paper towels do, these high quality towels will last you a long time. Simply wash and reuse! Read my full review here. 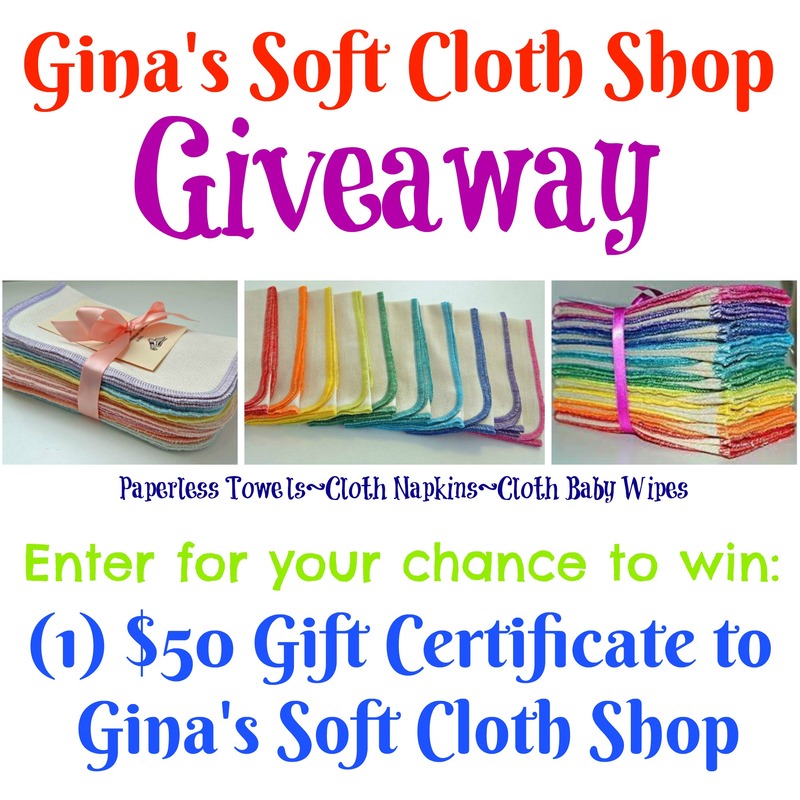 Enter for your chance to win (1) $50 Gift Certificate to Gina's Soft Cloth Shop.